Park Ridge Assisted Living focuses on maintaining independence for our residents in a safe, homelike atmosphere. 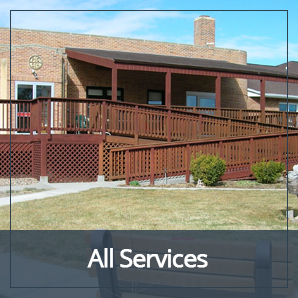 Park Ridge offers many services that include daily social activities, medication administration, transportation, and a wireless call system available around the clock. Other amenities include three nutritious and delicious meals a day, personal laundry service, and daily housekeeping. 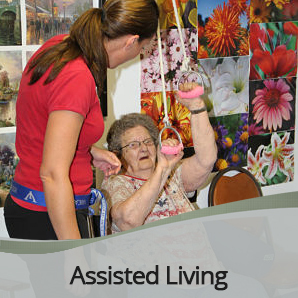 We can assist residents with activities of daily living that might include bathing and dressing. Built in 2001, our spacious resident rooms have large windows that overlook the City Park and the flower beds and grassy knolls on our grounds. Just a step away from our community dining room is a large covered deck for enjoying the sunshine, barbequing, or watching the residents' garden grow. Located in Grant, Nebraska, our residents truly know the meaning of "Nebraska - The Good Life"! Transportation for outings and local medical care.